Wolf-Garten Close Tooth Rake 19cm Tool Head from the popular Multi-Change® inter-locking tool system, is specifically designed for connecting to an array of Multi-Change® Wolf tool handles. Wolf Close Tooth Rake attachment with a working width of 19cm benefits from 10 tines with curved teeth which are easily pulled through soil and gravel. 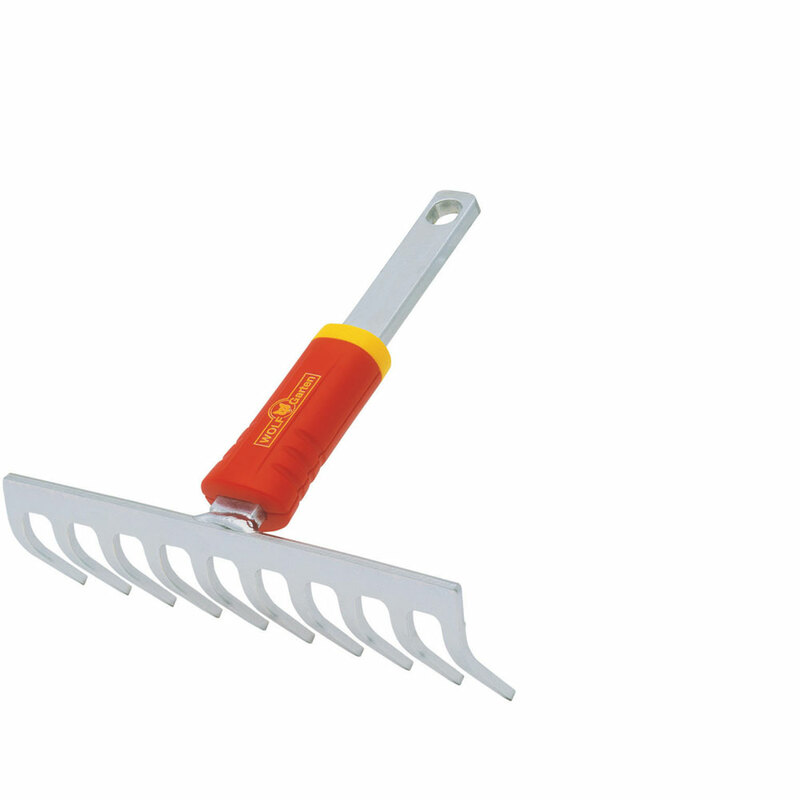 Durable zinc chrome plated rake with a lacquered finish ensures quality. Wolf tools represent high quality engineering and supplied with a 10 year guarantee. Wolf tool handles and heads from the Multi-Change® range are designed with easy transport, easy storage and ease-of flexibility in mind, especially when plot may be a distance from the home or tool space is at a premium.